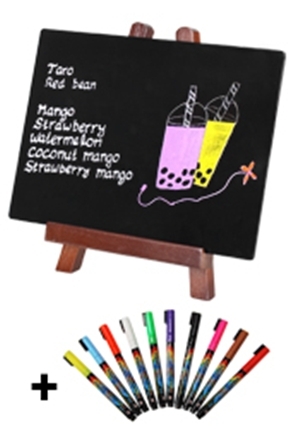 Includes Chalkboard & 8 Markers! 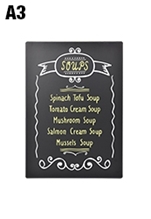 Menu Blackboards Depict Writings in Vivid Colour to Capture Attention! 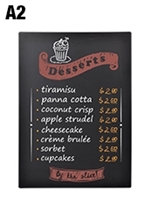 These menu blackboards are commonly used in a number of businesses to easily be read by patrons and customers. 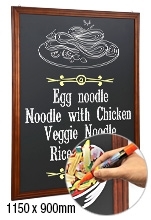 The cafe menu boards offer a black board that allows vivid writing pens to be used in order to get the attention of passersby with ease. 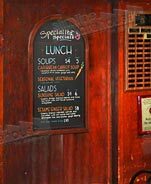 These restaurant displays, menu blackboards offer an eye-catching depiction of information that can be placed in many different establishments. 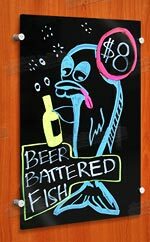 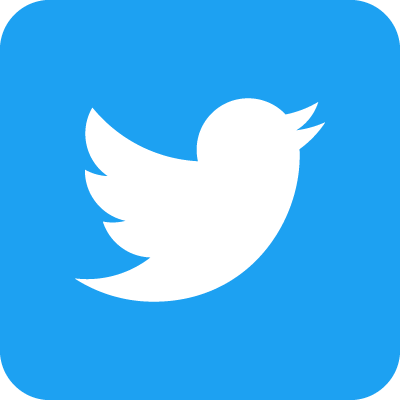 Cafes, restaurants, and pubs can display menu items, show drink specials, and announce upcoming live acts so patrons always know what's going on. 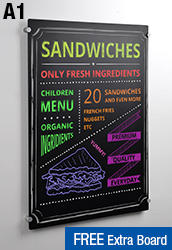 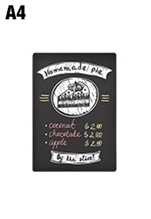 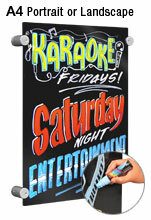 The menu blackboards can be used in retail stores to make show new products that are available and special deals. 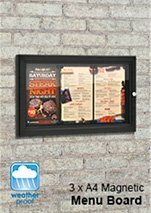 Universities and schools can place these around buildings to post announcements and other information, or even be used within the classroom! 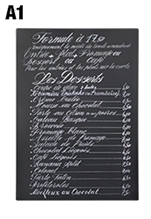 These menu blackboards are a useful display for a number of different industries. 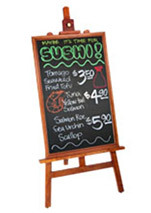 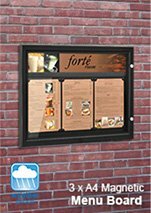 These cafe menu boards include versions that have wooden frames made of pine with different finishes to best suit various decors. 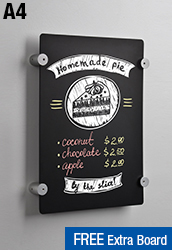 There is decorative moulding around some of the frames that is extremely stylish, bring a sleek design to any business that will fit in nicely. 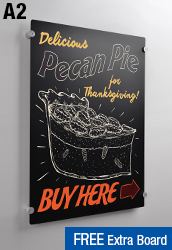 Most of these boards can be used in either portrait or landscape orientation, so your business can choose the proper one for your specific needs. 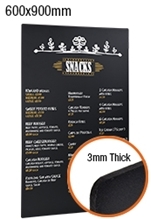 Mounting hooks on the back of the displays will help place these on your wall using the include wall hooks that will screw into most surfaces without a problem. 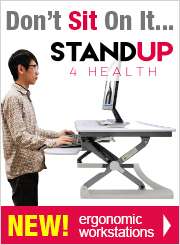 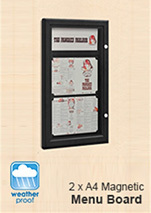 If unsure if the included hardware is proper for use at your location, please consult with a professional. 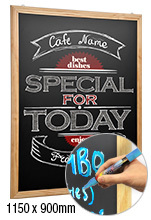 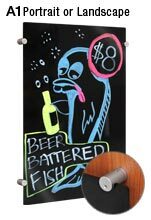 These restaurant chalkboards feature a textured surface that is receptive to different kinds of writing pens. 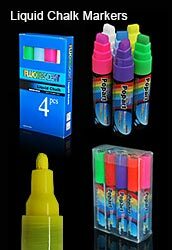 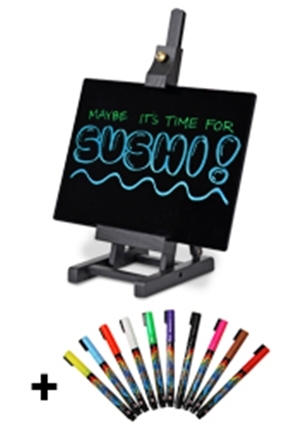 You can use liquid chalk, wet erase markers, and chalk sticks to inscribe your messages on these displays in vivid colours that can easily be read by visitors! 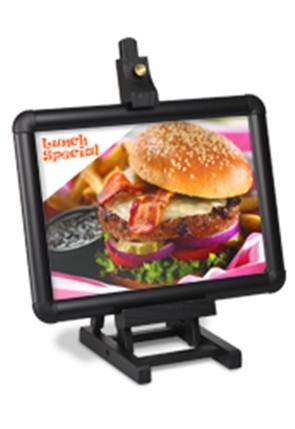 Some of our menu boards are also available as LED display boards. 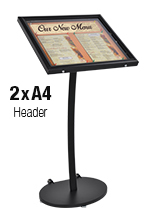 This method of displaying items at your restaurant is an surefire way to garner attention for displayed items. 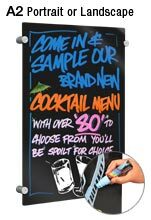 These boards are programmable as well, so you can set the sequence of flashing lights, which will draw patrons eye with ease. 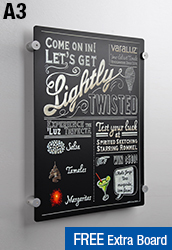 There is also a setting to have the board simply lit-up, with both methods illuminating written words spectacularly. 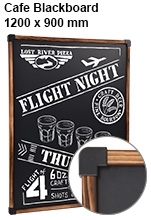 Hardware is also included with these versions of the boards, as well as a cleaning cloth for wiping the board down. 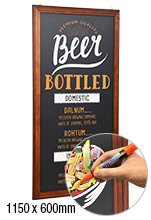 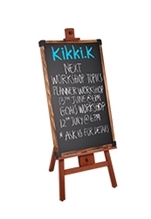 Please check out this page to see our recommendations for best cleaning practices regarding any of these chalkboards in order to leave no ghosting/residue behind for a great-looking message! 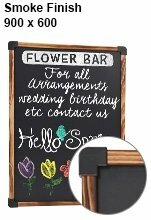 There are also black acrylic displays that, like the restaurant chalkboards mentioned above, can be used to write important messages on. 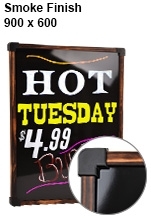 There are edge-grip standoffs included with these acrylic sheets that have screws and wall anchors for installation onto most wall surfaces. 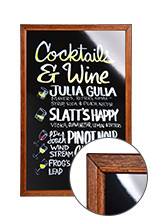 The matte silver finish of the standoffs helps to keep them neutral, focusing viewer attention solely on the acrylic sheet itself, not the method that it has been mounted with. 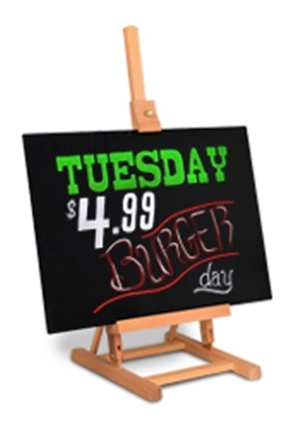 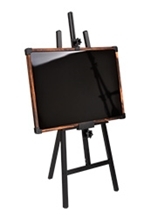 These acrylic displays can be placed in portrait or landscape orientation, and are best used with wet erase markers. 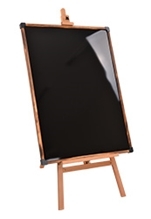 The boards can be displayed in both portrait and landscape orientation, making it easier to use in any location. There are multiple sizes of sheets available as well, so whether you need a display that is big or small, we have you covered! 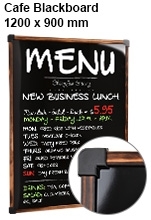 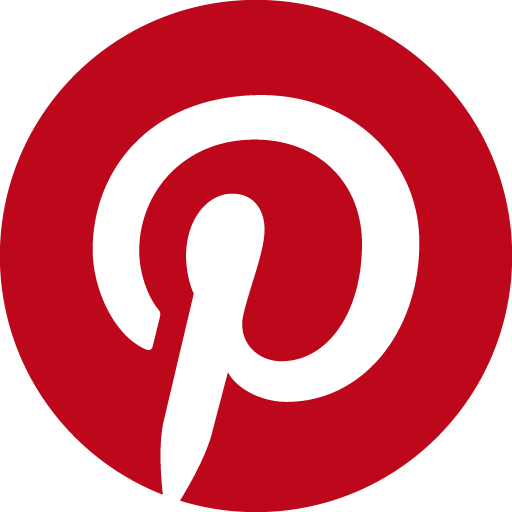 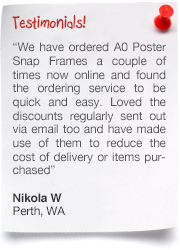 We have heaps of cafe boards that will definitely work within your business. 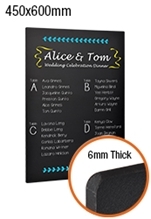 Our different sizes and configurations allow you to find the right option for your décor. 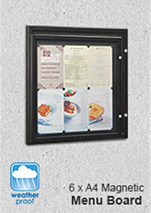 We have hundreds of items to choose from through our online catalogue, which you can access by clicking here. 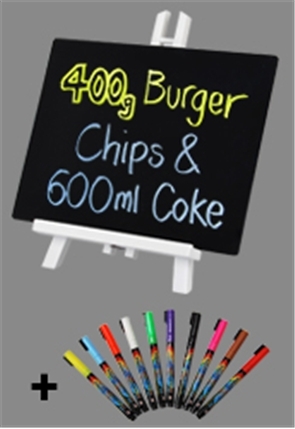 We offer a huge range of items in order to help our customers put their best fot forward when marketing to potential customers or presenting merchandise. 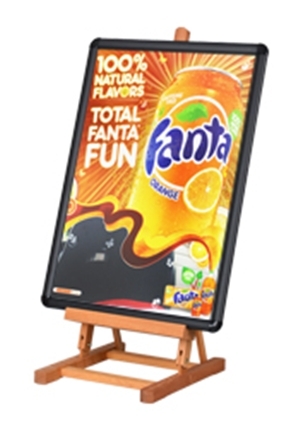 Currently, we are offering clip frames, acrylic sign holders, POS signs, portable counters, exhibition displays, outdoor flags, TV stands, business card holders, cable displays, lecterns, iPad holders, cafe banners, standoffs, & so many more! 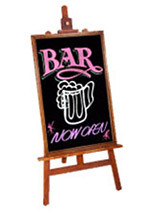 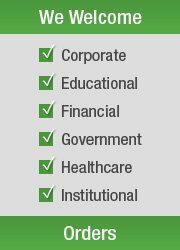 This large selection will help your business set itself apart from your competition. 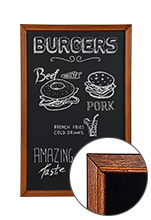 Our huge selection of products is perfect for displaying items t your business to capture customers attention. 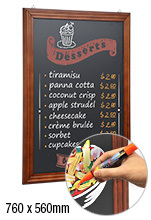 The different restaurant & cafe boards we offer provide a perfect background for vivid writing by employees. 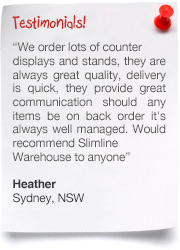 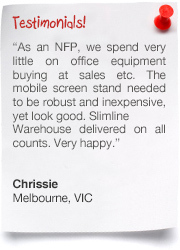 With over 20 years experience in the business, Slimline Warehouse has built relationships with manufacturers that allow us to offer high quality products at low prices that can't be found anywhere else online. 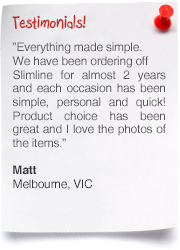 Questions regarding products or our ordering procedures? 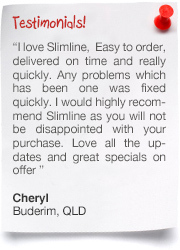 An expertly trained customer service staff is on hand to answer during normal business hours, just a ring away. 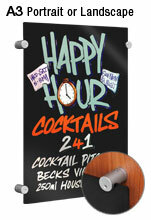 There is same day despatch available with most in stock products when purchase by 1pm EST out of our warehouse. 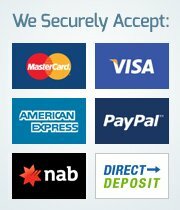 We are able to ship to everywhere in Australia, including Toowoomba, Sydney, Canberra, Newcastle, Darwin, Hobart, Melbourne, Brisbane, Cairns, Gold Coast, Bendigo, Perth, Alice Springs, & many more!